Two little friends came to visit on Friday for a quilting day..... check out the fabulous quilts they both made. We found them on this web site www.pippawardman.weebly.com . 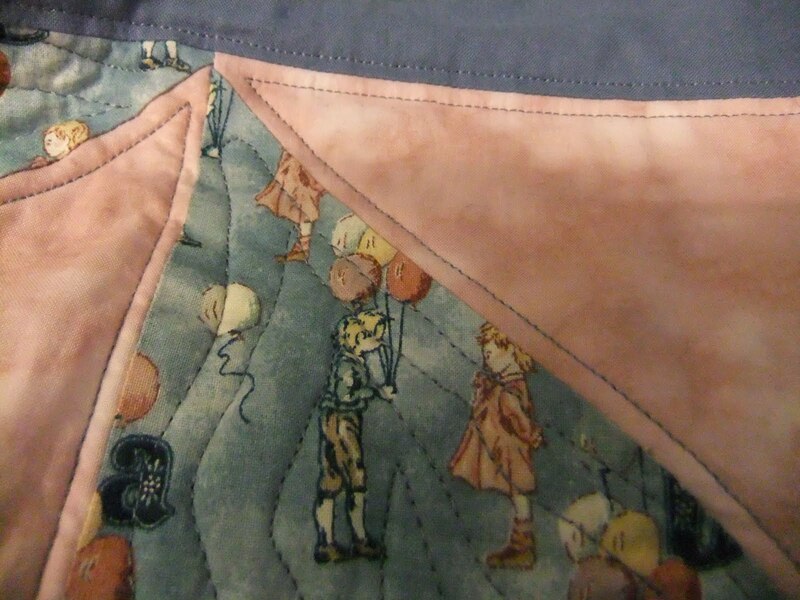 Pippa is the young quilters rep for the Quilters' Guild and she has set up this site for young quilters; check it out - there are some lovely things to make on it! 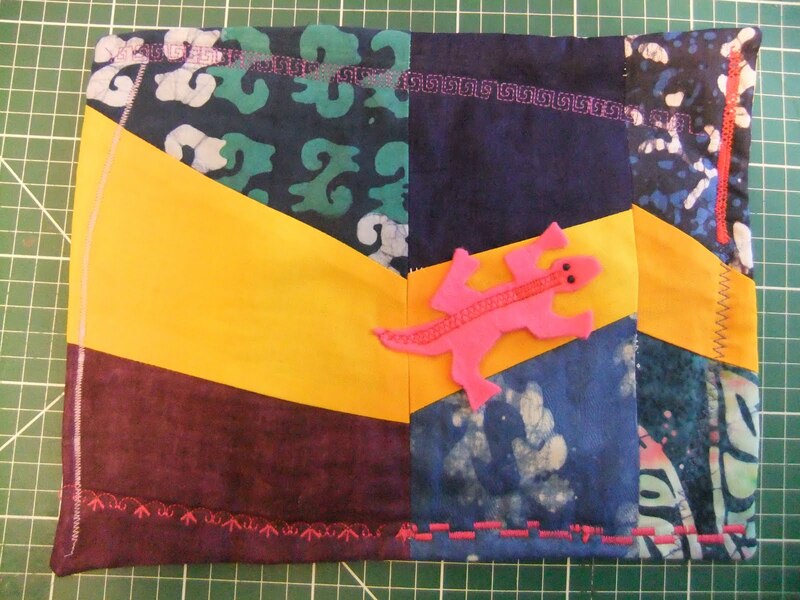 Unfortunately I didn't have any time at all to find a gecko button, but I'm sure I'll be seeing Magi's African fabric stall in the not too distant future. H is 13 and is quite an experienced machinist now. 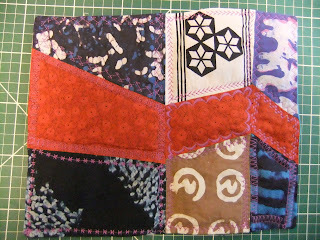 She cut out most of her pieces and sewed them all together without any help at all. And pressed it all herself. 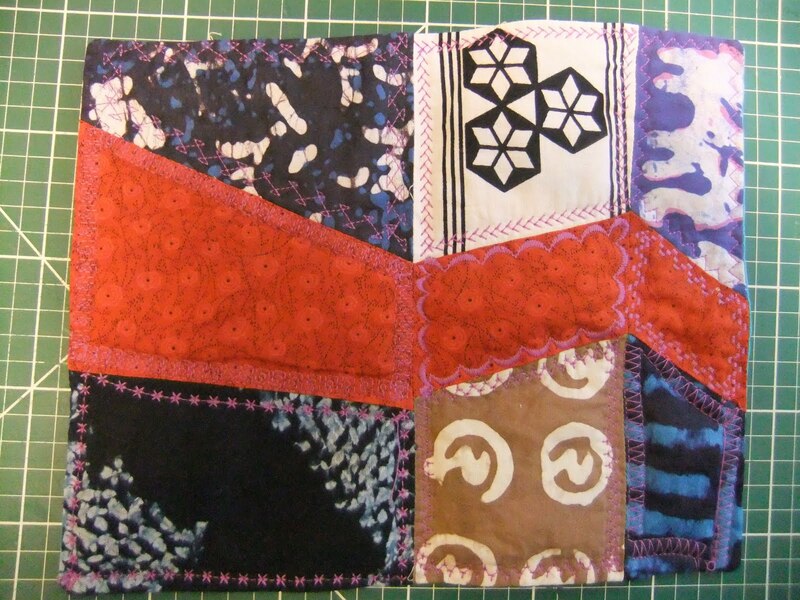 Well done H.
R is 9 and has never used a sewing machine before Friday. We took the foot pedal off, because her feet didn't quite reach the floor, but after only a couple of demonstrations, she remembered exactly how to start and stop and feed the fabric through the machine. 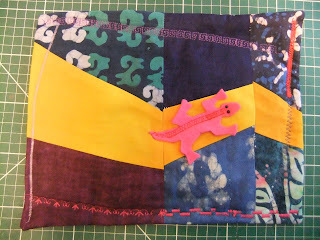 I cut out a Gecko from felt for R to sew on to her quilt. 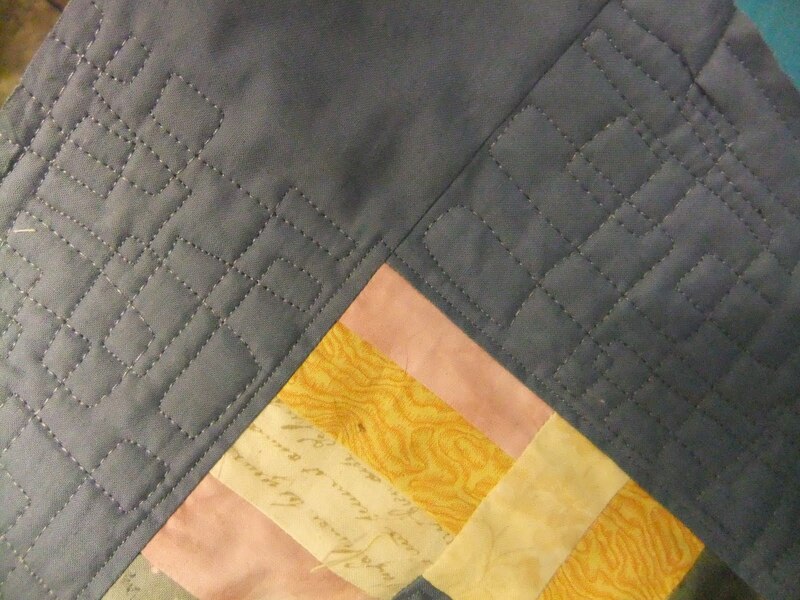 Well done R.
And.... in case you were wondering - here is a corner of Well Travelled - I have finished quilting the four borders and just need to trim to shape and bind..... ha ha - another day's work!! 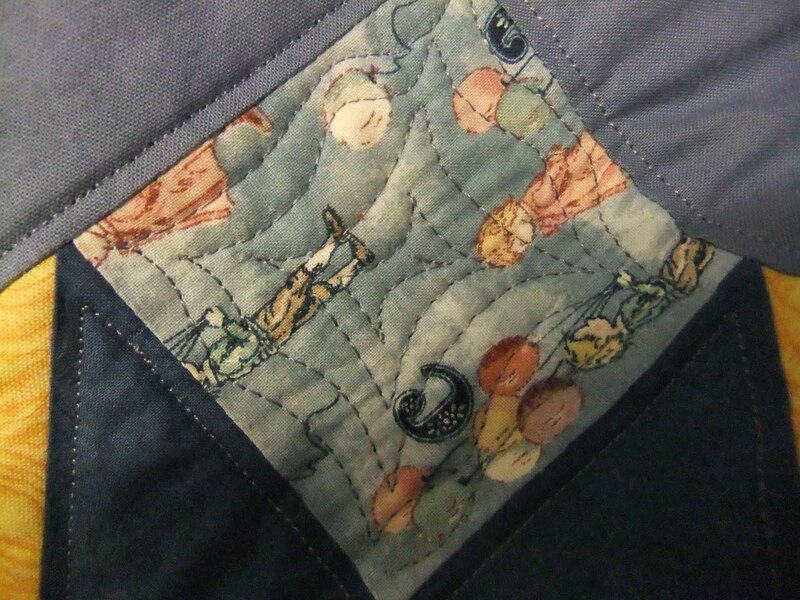 Here's some quilting on one of the squares. ...and some quilting on another block. If you are visiting Harrogate Quilt Show next weekend look out for my quilt in the Group section. I'll be there on the Sunday if you want to say hi!